MegaMouth™ design for easy access to main compartment has internal metal frame to help keep bag open. 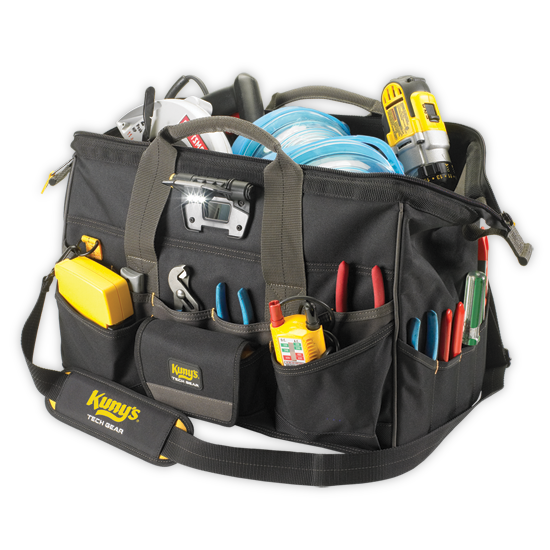 19 multi-use pockets inside and 26 outside allow for storage of your favorite tools, parts and accessories. 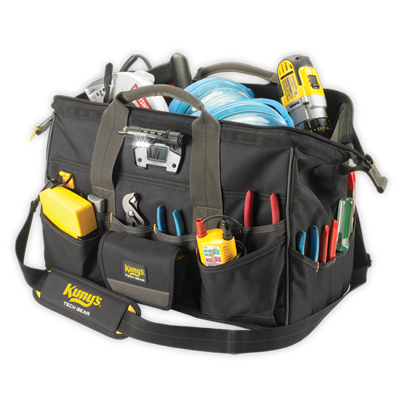 Padded shoulder strap for comfortable and convenient no-hands transport. 18"L x 9"W x 13"H.